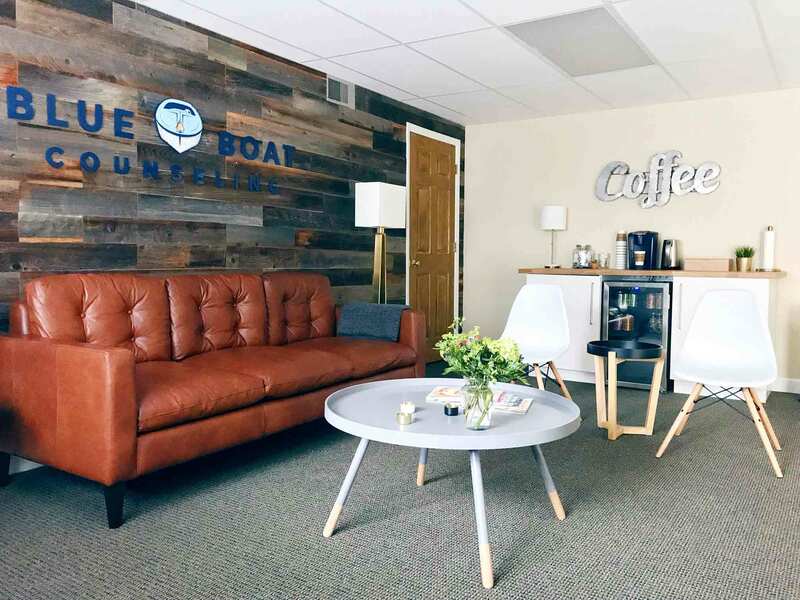 Welcome to Blue Boat Counseling! We’re happy you’re here. We’re Andy and Carrie Sears, husband and wife team and practice owners. 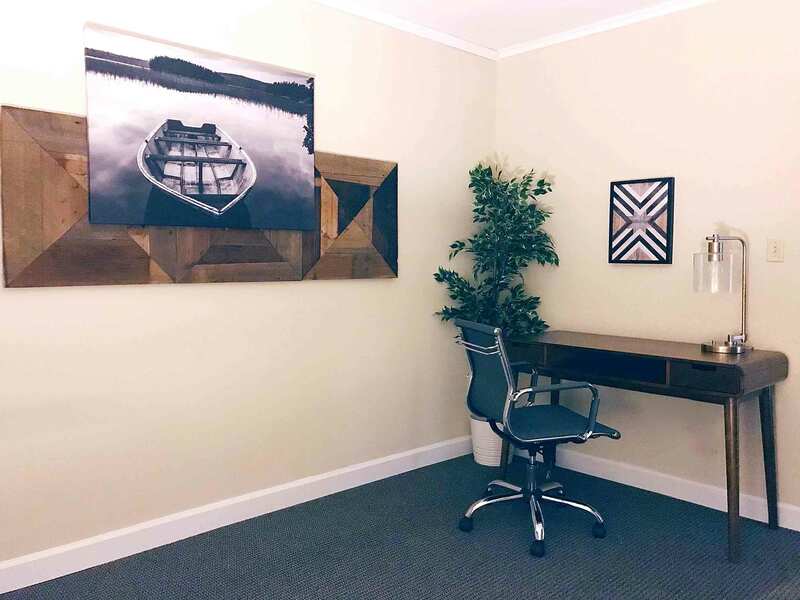 We designed and assembled this office space ourselves, and it was a true labor of love that we’re very proud to offer our clients. 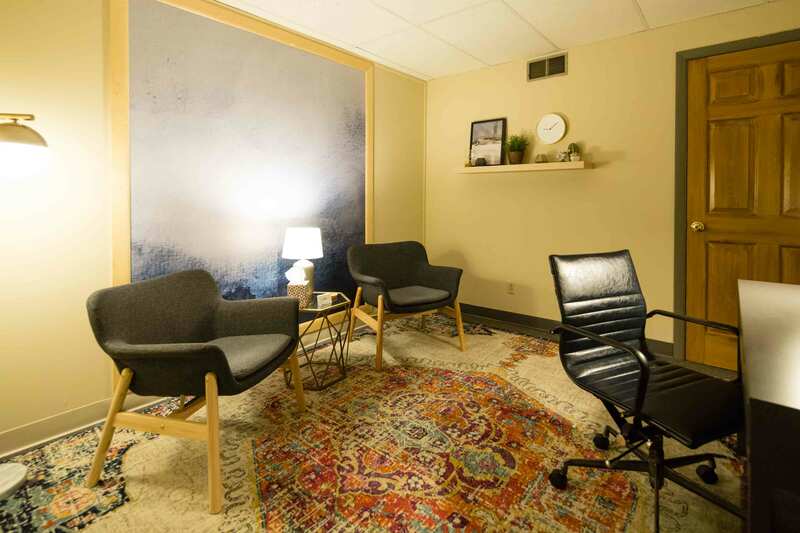 We hope it serves as a calm and safe place for your healing and recovery. 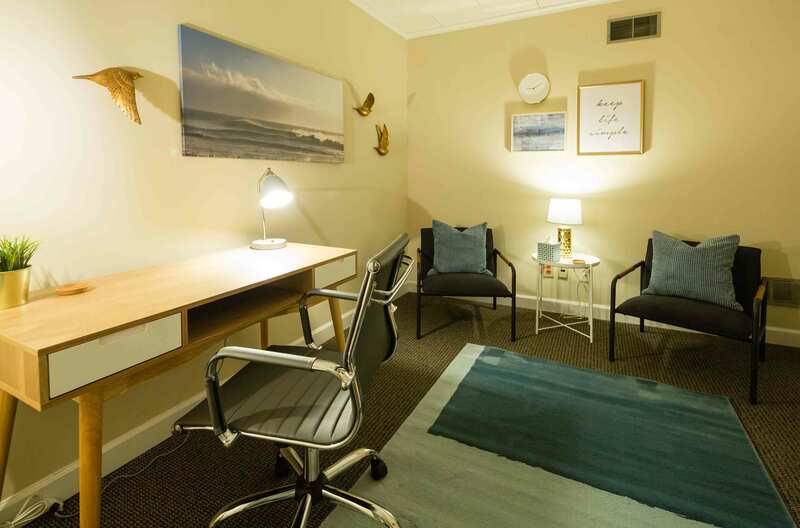 We understand coming to counseling, especially for the first time, can feel overwhelming, so we want you to know what you’ll be walking into when you get here. 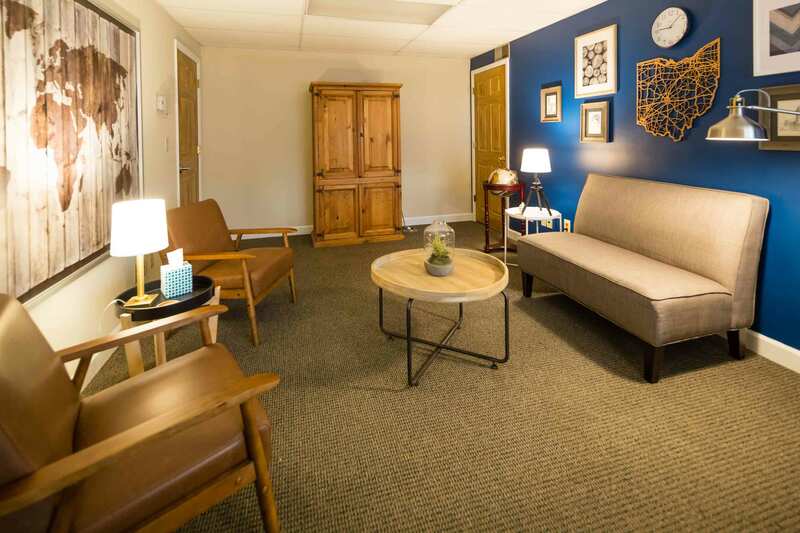 Our waiting area and counseling offices were designed with our clients in mind. From our badass beverage station and big leather couch to the cozy therapy seating, we hope you’ll feel relaxed and comfortable while you’re with us. If you’re ready to get started, contact us today. We’d love to help you be you.